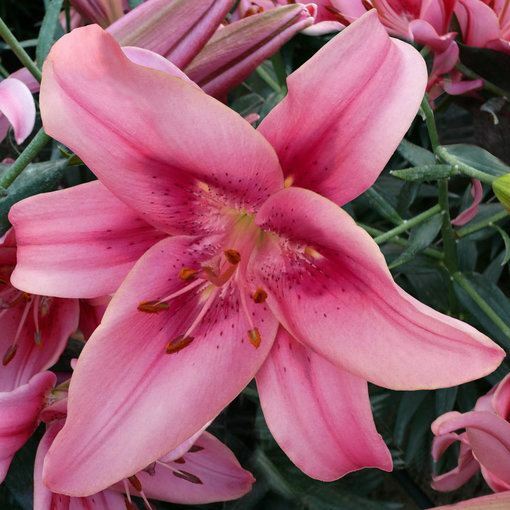 A salmon pink AOA Lily that will fade in colour as the flower matures. Height 80cm. 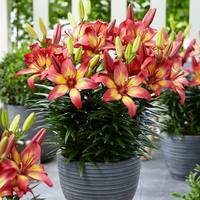 16/18cm bulbs supplied. Part of our new range of Super Asiatic Lilies, they are a cross between Asiatic and Oriental Lilies, giving you the vibrancy of an Asiatic Lily with the fragrance of Oriental types. How Supplied 16/18cm bulbs supplied. 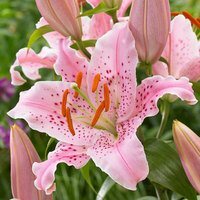 When planting, each bulb should surrounded with a little sharp sand both under and above the bulb to keep slugs away and to ward off excessive wetness. 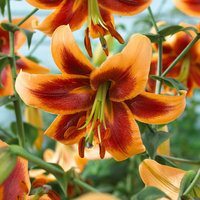 As most liliums are stem rooting we strongly recommend you plant at 15cm deep. 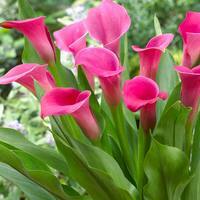 They give a much better display when planted in clumps of 3, 6 or 12 bulbs, 45cm apart. Planting time is December to April.